Although the 1st generation Range Rover had been in the US since 1987, Land Rover had been producing it since 1970 globally. When the 90s rolled around, Land Rover realized they desperately needed something more modern. The P38 Range Rover was their answer – and ended up being the last British-designed Land Rover to ever be sold. While the 1st generation Range Rover, referred to as the “Classic” after the P38 was released, had been very analog, the P38 was loaded with the best technology on offer in 1995. It debuted the “GEMS” series of the Rover V8 while ditching the old distributor-based Lucas ECU, launched OBD2 in 1996, introduced a new air suspension system, and came packed full of computers. Its interior was a massive step up from its little brother (the Discovery) and its predecessor. Despite all the new luxury, it retained the off-road capabilities for which Land Rover had become famous. Predictably, all these electronics have become sore points in the two decades since its release. Though not as reliable as the Discovery I, it is put together far better than the more contemporary Discovery 2. The 4.6L is the one to get, as it was the only offered engine that was truly capable of hauling the P38’s considerable weight around. Model year 1999 introduced side-impact airbags, Hill Descent Control, and four-wheel traction control as standard (two-wheel traction control was optional for model years 1995-1998), but also the troublesome “Bosch” engines. In 2001, the 4.6L engine became standard for all trims, and the SE was dropped entirely for the final 2002 model year. Unfortunately, most have a litany of electrical issues. When well-maintained, however, these cars can easily go well over 200k miles and even beyond 300k without an engine rebuild. Aside from typical Rover V8 issues, the P38 Range Rover is very mechanically sturdy. ABS accumulator – symptoms include inconsistent brake pressure and/or brief flashing of ABS, TC, and brake warning lights upon braking. Quick replacement is advisable (especially as it is a very easy repair to do), as a failing accumulator puts more strain on the ABS pump, which is quite expensive to fix (see above)! 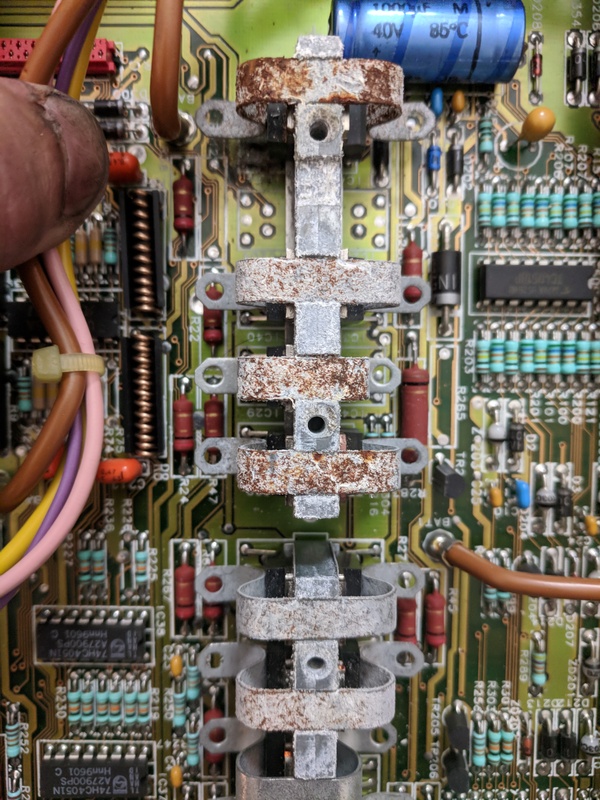 Burnt/melted circuit boards/relays – common issue caused by overloading of the HEVAC blower motor, which scorches relay 7 and sometimes its corresponding fuses (F34 and F43) and the fuse box by association. This allegedly can happen if pollen filters become clogged or if there is a loose wire on the blower motor. 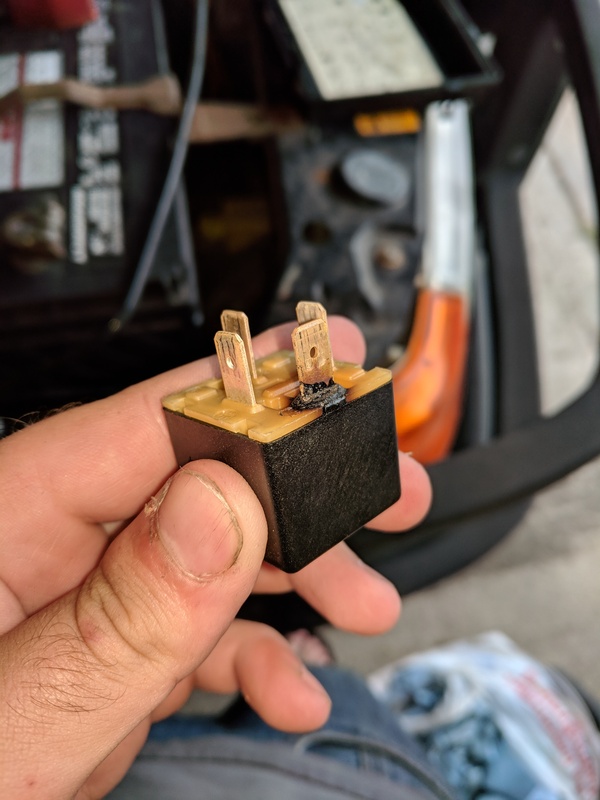 Often, this will cause the blower motor to become stuck in its current power setting until the relay/fuse box is replaced, along with other miscellaneous electrical issues (such as false fuse failure messages). You can visually inspect for this by pulling relay 7 and checking for cracking around its slot on the plastic cover. Incorrect relay used for the ABS – the ABS relay in the P38 is not a normal relay, and is designed to handle the 70A circuit which the ABS pump requires. Replacement of this one should ONLY be with an official Land Rover part. BECM – the location of the BECM (underneath the front passenger seat) makes it particularly vulnerable to beverage spills. This can lead to corrosion on the internal circuitboards, especially the upper power board. 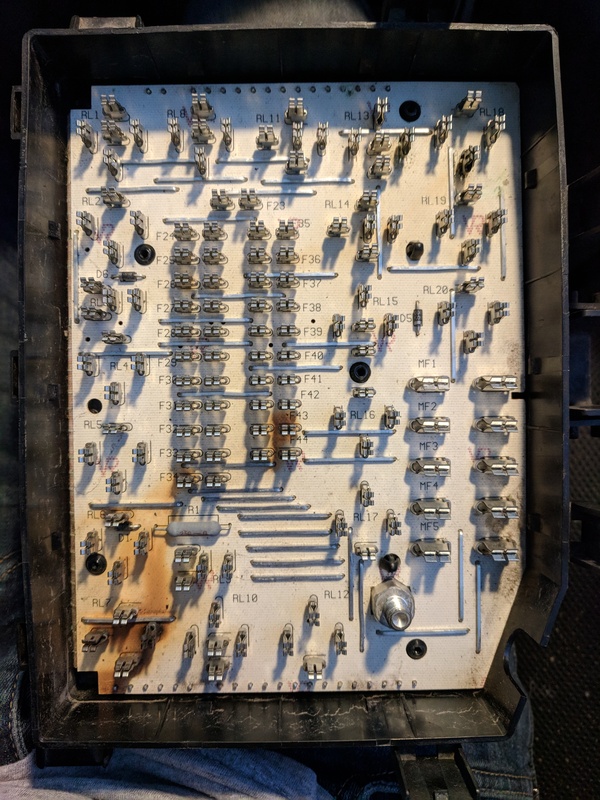 The power board itself is also prone to relay or transistor failures after years of operations, thanks to dealing with high-amperage circuits. 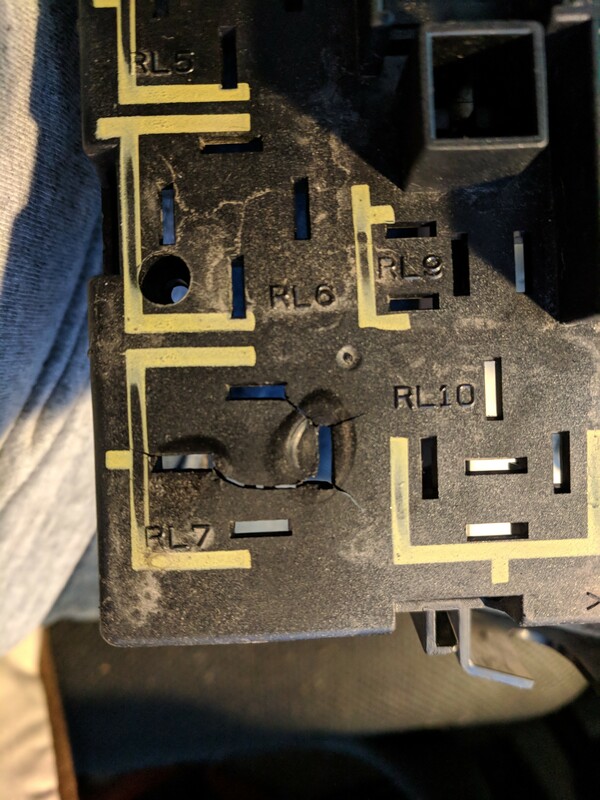 Failure of components on either the power board or the logic board underneath can cause miscellaneous electrical issues. If the issue lies with the logic board, then you will need a brand new BECM (which can cost upwards of $2000 for a shop to order one and program it); however, if the issue is with the power board, you can swap it with one from another BECM, and this is a very simple procedure. Drooping headliner – requires removal of headliner panel and reupholstering of headliner; stapling the fabric down is only a temporary measure and won’t work long-term as the problem is due to degradation of the insulating foam. Dropping the headliner is easier on the P38 than it is on Discoveries; in fact, it only takes about 20-30 minutes, even for an inexperienced person. The headliner is quite wide, and requires 4 yards of 60″-width headliner fabric. Use proper foam-backed headliner fabric and a high-temperature spray adhesive specifically made for headliners (sold at most auto parts stores). If battery is disconnected or fully dies, you will need to “set” the sunroof and all windows (by putting them all the way open then all the way closed in one smooth motion) to enable one-touch and anti-trap functions. 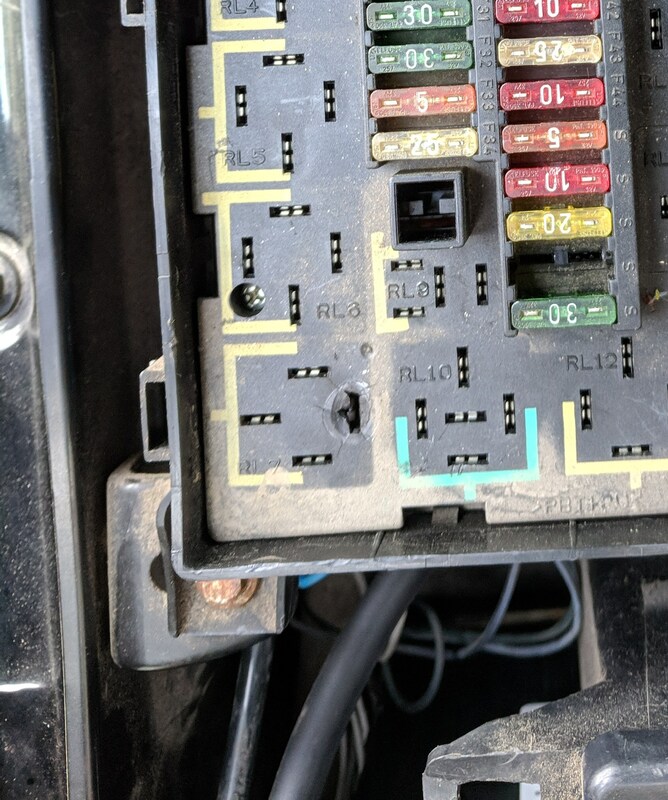 MY95 cars don’t have OBD2 – all other cars have the OBD2 port located deep in the passenger footwell, NOT under the steering column or in the glove compartment. Coil conversions are common, though EAS is not very difficult to diagnose and fix (however, diagnostic software is required for recalibration). My personal belief is that if you want coil springs, you should get a Discovery 1 or 2 instead of a Range Rover. The ride quality of a P38 with EAS is unparalleled by either generation of Discovery, and especially can’t be matched by a P38 with coils (which are either too soft, in which case the car hits the bump stops or bottoms out, or are too firm). The car also relies heavily on its adjustable height for off-road driving. Discoveries, on the other hand, were designed with coil suspension in mind, and the Discovery 2 has a remarkably comfortable and luxurious ride for a big SUV with coil springs. Start the car and cycle through the various height settings to ensure the car can change height in the first place (make sure that all doors and the tailgate are closed, or they will interrupt the system). Then, leave the system on the highest setting, open the hood, and get out. The car should be holding its height and not sinking back down. If you check under the hood, the compressor should not be constantly running, nor should it be turning off and then back on over and over again. If it is, or if the car doesn’t hold its height, then there is a leak. The car should be able to hold its height for at least a couple days without sinking. The compressor can burn out from constantly running. If you cannot find an external leak (for example, by spraying soapy water on the components and looking for bubbles), and the compressor is working as it should, then there’s a good chance that one or more of the O-rings in the valve block needs to be replaced – you should rebuild the entire valve block if you can, as this will prevent any further O-ring failures. Off-road aficionados should be pleased to know there are numerous upgrades you can do to your EAS-equipped Range Rover.